Magic Rug Cleaners offers professional rug repair and restoration services for all handmade and machine made, wool, silk, cotton, traditional, contemporary, loose woven, needle point, Navajo, Tibetan/Nepalese, Kilim, Turkish, Moroccan, Pakistani, Afghani, Persian, Oriental and rugs from India. Whether your rug is stained, faded, torn or has sustained other damage, we can help return it to top condition so you can enjoy it for years to come. Repairs are vital to a rugs life to conserve and minimize further deterioration through normal wear. Our trained rug care technicians are knowledgeable and can properly assess the damage of your rug. Repairing your rug will stabilize it’s structure, preparing it for continual use, also helping to recreate the same artistic look and feel of your rug. 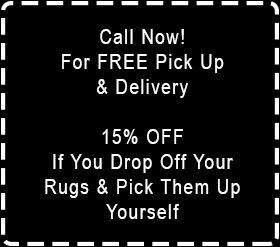 We fix and restore all wool, cotton, silk, synthetic fiber and mixed fiber rugs of all sizes. Restorations & Repairs include re-weaving, fixing side cords/ unraveling edges, reattaching loose or missing fringe, patching, binding, re knotting, end damage, dry rot, moth and insect damage and much more.